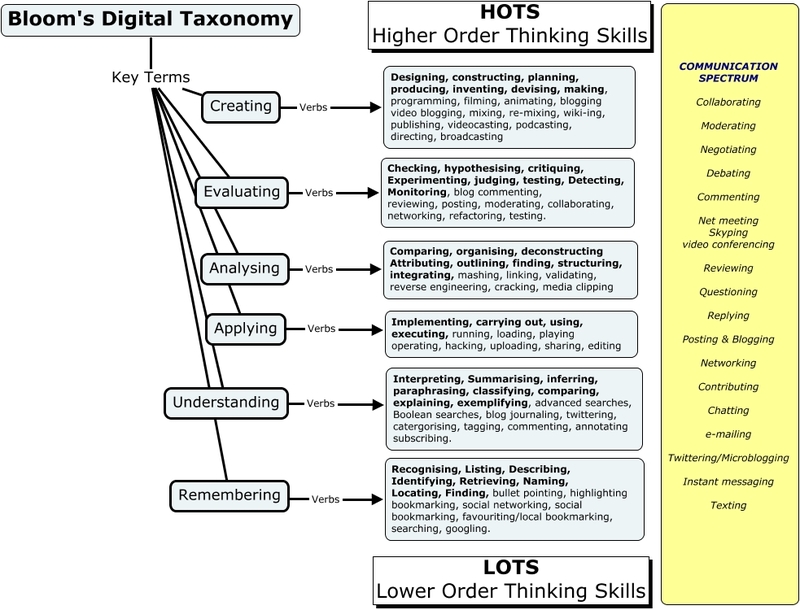 Whenever you're looking to use Bloom's Digital Taxonomy in your lesson plans it's important to consider the verbs. Each of the taxonomic levels has a series of verbs associated with it. If you're looking to integrate a certain taxonomic level into your instruction and are unsure how, use the verbs as a guide. "Using Google, students will retrieve information about one battle during the American Revolution. 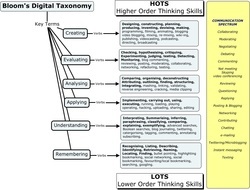 Then, using Google Docs, students will create a collaboratively outline their research." 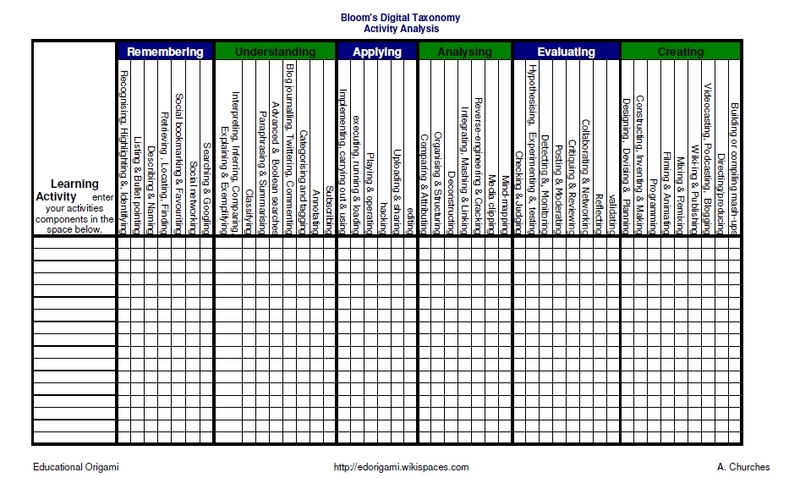 This assignment uses several of the verbs from Bloom's Digital Taxonomy to create a brief lesson plan sketch that the teacher can expand upon. With retrieve and outline the lesson plan sketch accesses the Evaluating and Remembering levels of Bloom's Digital Taxonomy. It also gives the teacher an idea of what technology tools, Google Search and Google Docs, will be used in the lesson.